English Football star Wayne Rooney was arrested and fined in the US, last month for public intoxication and swearing, the media reported on Sunday. 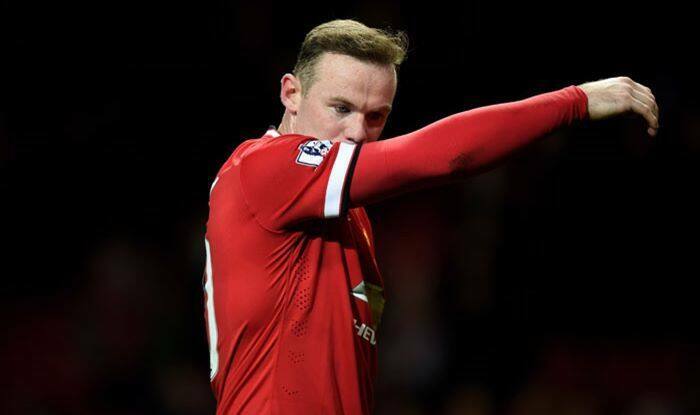 English Football star Wayne Rooney was arrested and fined in the US, last month for public intoxication and swearing, the media reported on Sunday. Former England and Manchester United captain, who now plays for Major League Soccer’s DC United, was arrested on December 16 in Virginia, the BBC reported. A spokesman for Loudoun County Sheriff’s Office confirmed Rooney was taken into custody “on a charge of public intoxication stemming from an arrest by the Metropolitan Washington Airports Authority Police”. According to reports, Rooney was arrested at Dulles International Airport, which is located in the northern Virginia suburbs of Washington, after a returning from a trip to Saudi Arabia where he attended the opening race of the Formula E season near Riyadh. Court documents from Loudoun General District Court show that Rooney, 33, paid a $25 fine and $91 costs on January 4. He was a charged with a ‘Class 4’ misdemeanor, which carries a maximum fine of $250. Rooney was banned from driving for two years in September 2017 after he was found to be almost three times over the legal limit when he was stopped by police in Cheshire. The forward moved to the US in June 2018 after signing a three-and-a-half-year contract with DC United. Rooney led the club to the playoffs in his first season before they suffered a first-round loss, with the former Everton player missing a penalty in a shootout against Columbus Crew. A statement from DC United said: “We are aware of news reports indicating that Wayne Rooney was arrested in December.